Just writing a blog is not enough. It should be promoted to the public. It is very important not only to drive massive traffic but have more followers for social pages so people tend to twitter marketing software. But as maintaining the twitter marketing blog I think if it is promoted properly then only targeted audience will come to know about your website and its quality content. Learn about the various targeting options & Twitter marketing strategy for the website that will increase the conversions and which will best help you 40% traffic growth in just 15 days using Twitter. Many bloggers used to search; how do I promote my blog on Twitter? How to get more followers on twitter? How are professional bloggers using Twitter for marketing? How do you promote a tweet? How to use twitter to promote your blog? How do I add a link to a picture on Twitter? How do you share a blog post on Twitter? How do I advertise my website on Twitter? How do you drive direct traffic to your website? How to use Twitter to increase traffic to your website/blog? As I used to say; "Content is the king," and only through quality content, you can drive targeted traffic to your website. Bringing traffic is very important for the blog and for this you need to promote the same in right ways since it is the part of running a great Twitter marketing campaign properly. Twitter offers an ultimate platform to get connected with millions of active users around the world. More than 300 millions of active users are there on Twitter per month. Without fail, you must take such an opportunity to promote your blog on Twitter. This can be an incredible way to connect with more and more target audience. Tweeting blog can provide you an ultimate gateway to find lots of new customers from millions of users. Twitter is not only a social networking site but also microblogging service for many bloggers, it allows the registered users to read and share short messages of about 280 characters, which is called "tweets". You don't require any twitter marketing tools as it is an ultimate social networking channel offers lots of benefits to uploading photos, short videos or tweeting blog posts to the public. Twitter allows you to drive more and more traffic to the website. Well, it needs to be tweeted properly. If you use Twitter well, you and your business can benefit the most. 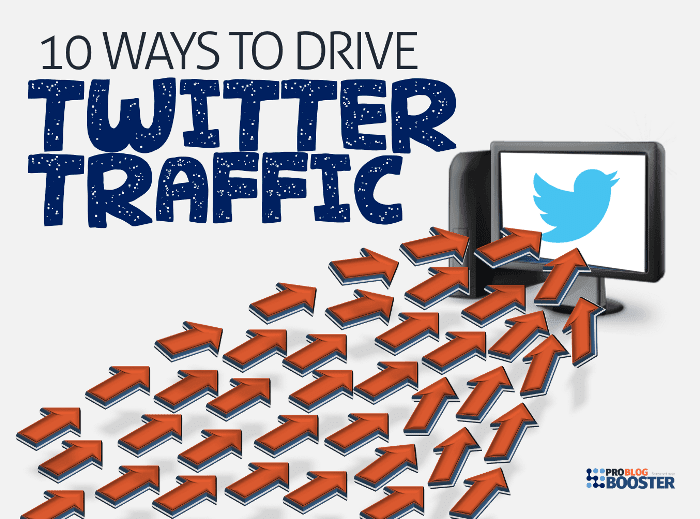 Driving the Twitter traffic is one of the biggest challenges for most professionals. If you think tweeting just a title of the blog post, then it will not work. It will not bring the link back towards the site. For this, you need to be very creative in writing the tweets and being active on Twitter. In order to enjoy blog traffic from Twitter, you need to use most effective Twitter marketing strategies. You need to employ actionable tweet formulas to make your blog post drive more and more traffic fast. Here I'm sharing top 12 tips to help you drive more visitors from Twitter. In the previous page, I was talking about advanced SEO techniques, Stop Using Dynamic Meta Tags | Advanced SEO Practice as most of the professional blogger also making mistakes for quick tricks to drive organic traffic. But here today I am going to show what are the best and most effective ways you can follow to use Twitter as a traffic source for your website and blog. Driving Twitter traffic to your blog and website is necessary to keep your online reputation active. Despite the quality of blog pages you write on your website, without readers, your efforts and plans as a marketer will get failed. Twitter traffic provides extended possibilities to increase your blog article readership, and here I'm going to share excellent tweet formulas that'll help you to drive more and more targeted traffic and active readers to your pages & website. 1. Use short but exciting tweets. Tweeting should be short and interesting one. Too lengthy tweets do not find a good amount of engagement. If possible bring down the word count under 180 characters. This will help you to enjoy higher interaction rate. At the same time, it is very important to tweet creatively. Always try to focus on short but sweet tweets. Provocative or exciting tweets can invoke interest in your blog post. And it really works. 2. Include the intriguing quote from the blog post. While you tweet, let your followers taste your blog post. You must include a fascinating or intriguing dialogue or line from your content you written on the page. The quote that you post should be concise and offer a flavor of the content of your blog post. It doesn’t mean you need to just tweet the title of the post. You can add a little more to your tweet to make it creative for more clickable. If possible, try to add interesting statistical data in your content and tweet about the same. To make the statistical data appealing and interesting, you can make use of numbers and characters. 4. Don't forget to use #hashtags. Twitter is the first social networking channel to use #Hashtag. Hashtags are the great sources to spread your tweeted blog posts. Hashtags are nothing but a group of words having ‘#’ symbol at the first position. The hashtag is really a great way to get connected with the Twitter users beyond your followers. You can make use of popular and trending hashtags to drive blog traffic from Twitter. You can create your own Hashtag that can take your Twitter users towards the landing page of the website. This is yet another source to get more blog traffic from Twitter. A mention is a way to send a tweet directly to the follower. You can use @mention to send your tweets to your target audience or anyone of the Twitter. With @mentions, Twitter allows you to communicate privately with the twitter users. Such communication will definitely help you to build a good relationship with your targeted customer. Mentioning will help increase the recognition of your tweets and drive more targetted traffic to the blog post. In order to get more blog traffic from Twitter, you can re-tweet the published blog content. Also, if someone mentions your blog or website content on Twitter in their tweets, just retweet their tweets to appreciate their efforts. 7. Ask for retweet (RT). Just like you retweet on someone’s tweet, ask the twitter users to retweet your tweet. This is really a great way to get more and more retweets for your tweeted blog. In order to drive traffic to your blog post, ask to retweet the link and this will bring the user to your blog post again. 8. Tweet a question related to your topics. By adding a question in your tweet, you can easily generate lots of engagement. 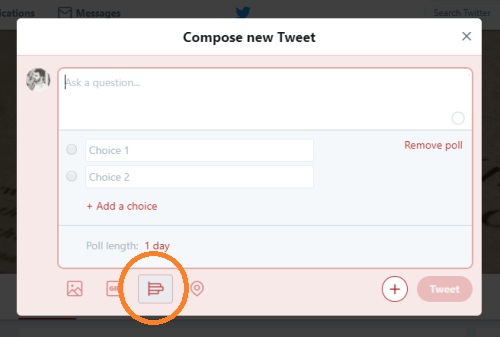 Tweeting the questions will get more clicks for your blog when a question generates enough connections with your followers. Make sure that the question should be related to your blog topic or relates to your website. This will help to get more blog traffic through twitter. 9. Host a contest through tweets. Running a contest is a magnificent way to drive more and more traffic to your blog post. For this, you can make use of the "Add pole" feature on Twitter platform. By tweeting a contest, you can create engagements with your reader. Also, it can be a great incentive for the new readers. This way you can take them towards your website. Promoting the tweets is very important. This helps you to spread your blog post to your target audience. For this, you need to promote the tweets that contain a link to at least one of your blog post. You can even set up the promoted tweets to target the audience by their interests, geographic locations or trending keywords, etc. 11. Posting a bio with your blog link. Your Twitter bio is something that all the Twitter users can see and can visit you on twitter. You must link your blog URL to your bio. Whenever the twitter user will go through your bio, the chances increase that he will click on the given link. This lends a big opportunity to drive more traffic to your blog from Twitter. Images speak more impressively than words. The value of the visual content is much higher and can no longer be overlooked. In order to make your blog more appealing and attractive, you must add really cool images. In addition, you can even include a visual "Call-to-Action" to the images added. Such as ‘click the link to read more…’. Tweeted images can get more engagement. So, you can even tweet with images. Include images in your tweets can be a great source to drive more traffic. For this, always try to create your own unique picture which will help you to get more clicks for your tweet. There are several free image tools available that offer huge images for social media posts. You can easily add images to your tweet. Here, the infographics can really do a miracle and help you to get more blog traffic from Twitter. Twitter is the most important social networking channel to get more traffic to the blog. With Twitter, the traffic can get jumped leaps and bounds. It can help your business with many folds. Twitter helps to get hundreds of blog visitors each day. Retweeting the other blogs and getting retweeted for the own blog post can again help to drive more traffic. Overall, Twitter is the best platform to multiply the clicks for your blog and web pages. This is the excellent channel to get exposure for your business and bring more and more customer for the business. So, apply actionable tweet formulas and drive more traffic to your blog post.